The Toddler 2 students were excited to notice signs of spring, despite the chilly weather! On walks to the playground, they love to point out birds singing in their nests, flowers blooming and trees growing new leaves. In the classroom, they created cherry blossom collages to welcome the season. 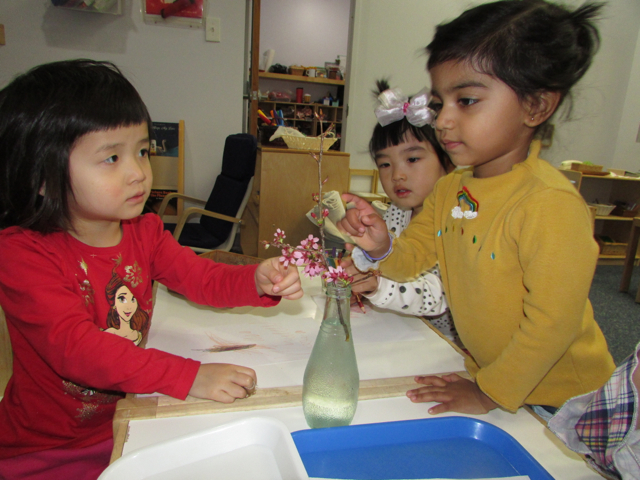 The children love to squish squares of pink crepe paper into "flowers," which they glue on to a picture of a bare tree. 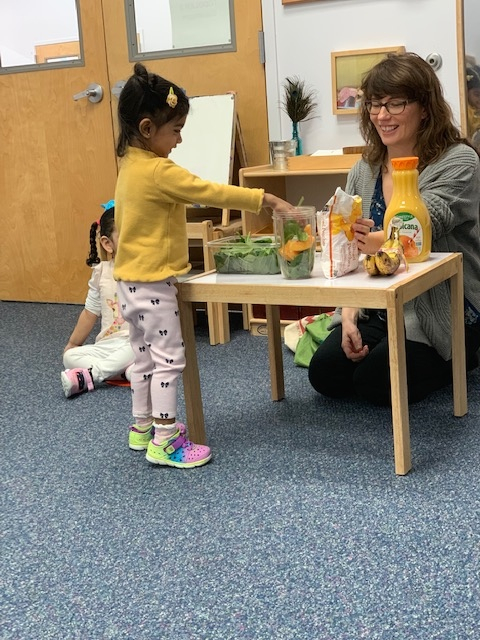 The Toddler 2 community was excited to begin their new group snack project last week, organized and supported by their wonderful classroom parents! 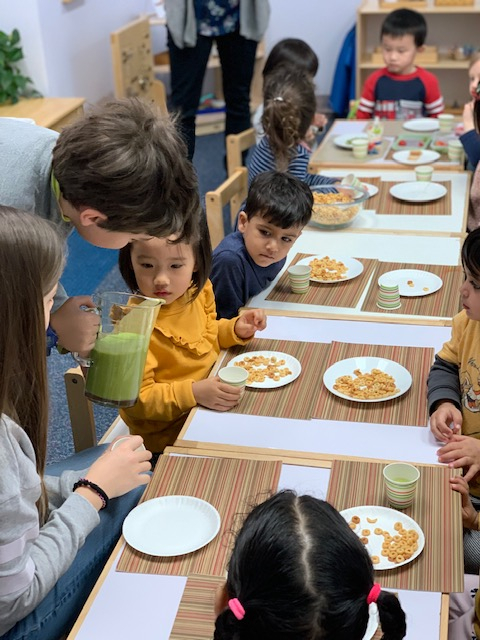 The children adored using fresh ingredients to make delicious spinach and banana smoothies. 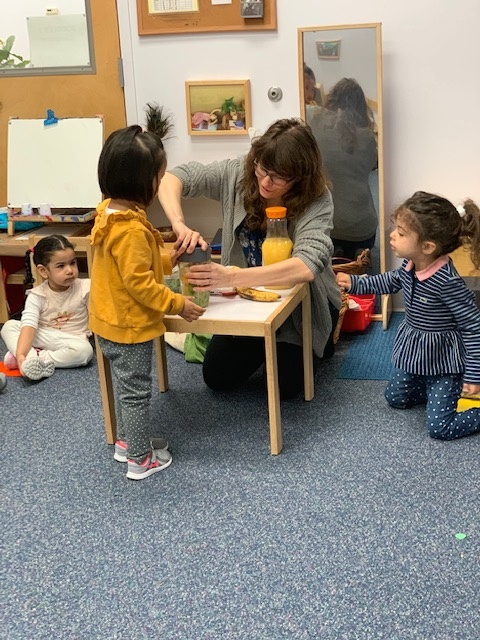 They were especially lucky to have the assistance of two helpful Upper Elementary students, who helped their young friends to make and serve the tasty treats. The whole process was a joyful experience for the young students!